Throughout the illustrious history of the world’s most iconic skate footwear brand, Vans has utilized checkerboards on all of its models, creating an aesthetic that has almost become synonymous with its brand. Now, Vans has taken three of its staples, the Old Skool, the Authentic, and the Slip-On and added a brand new “Checker Flame” look that will be sure to give you the hottest kicks at your local skate park. 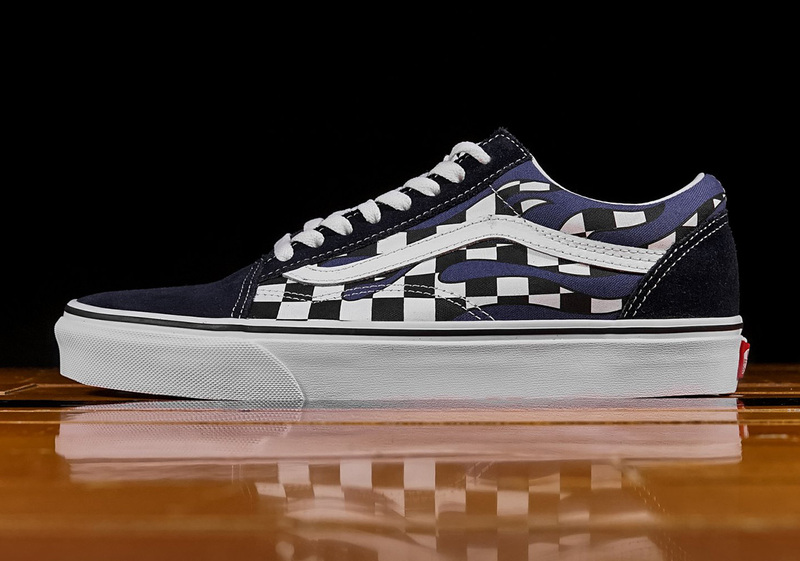 The Authentic – dressed in black – and the Slip-On – done up in red – carry the checkered graphic inside its flame graphic toward the toe, while the culture shifting Old Skool – sporting navy blue – sees its flames and checkers flowing all the way to where it wraps around the heel. In customary Vans fashion, each of the three offerings comes with an “Off The Wall” license plate dipped in red attached to its heel. Enjoy a detailed look at all three selections below and head over to your local skate retailer the likes of Renarts to grab a pair today.